- Attack range of a tower is 700 but its true sight range is 800. - Level 1 towers deal Normal damage. Higher level towers deal Siege damage. They all have Fortified armor. Only the killing unit receives the bounty stated in the unit box. All other heroes on the team receive 200/240/280/320 gold, depending on the level of the tower. If a tower is destroyed by the Sentinel or Scourge, all the heroes on that team will instead receive 315/350/385/420 gold, plus a random amount of gold between 1.4 and 14. If a tower is denied, the gold granted to the other team is halved. I would not be going too deep into the mechanics of this, but focusing on the important parts. 1. Is someone attacking my allied unit? 2. Whose %hp is less? 4. How to avoid tower hits? 1. Is someone attacking my allied unit? Yes. Then whom to hit? Priority #1: Unit attacking allied hero. Priority #2: Current tower target. Priority #3: Unit attacking tower. Priority #4: Enemy units attacking allied non-hero units. 2. OK. So, there are multiple units ahaving same priority. What to do? Answer. Hit the one with lower %hit points. 3. Two have the same %hp left. Now what? Answer. Hit the one who is closer. Note: This is just a rough way to find out who will be the target of the tower. 4. By attacking on your allies. I didn't know some of them. How can empowering haste deal damage to a tower? How can it deal damage at all? It's a speed aura! Where is the mention of source??? 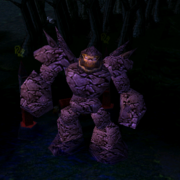 Y0w,,u can also armor your tower..
By using treant's living armor.. hehe..
...been playing dota for three years and never knew this...really quite a swell guide, real horrorshow.